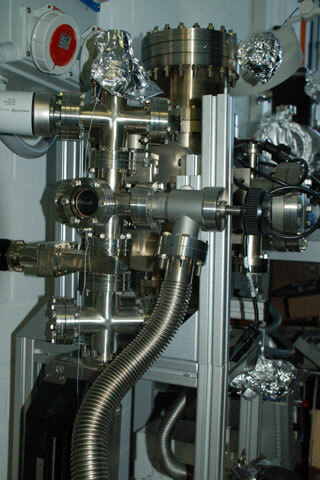 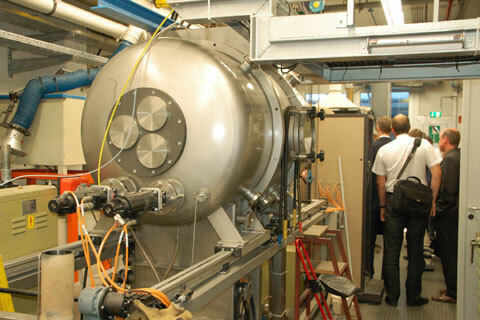 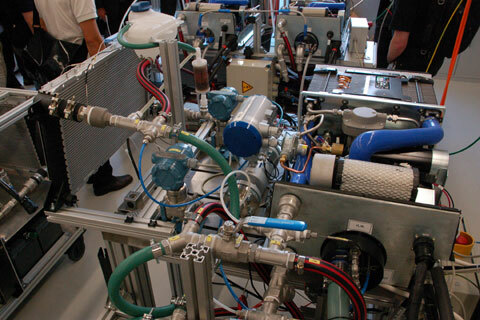 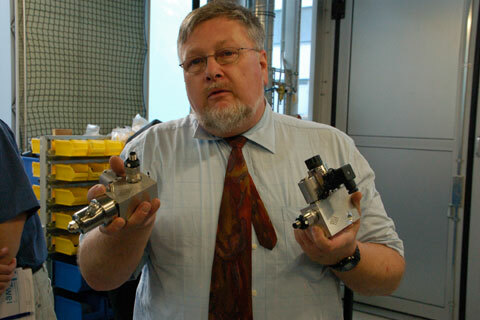 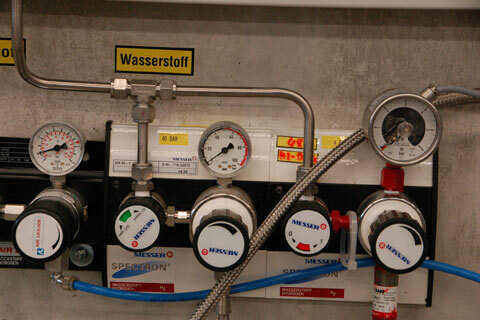 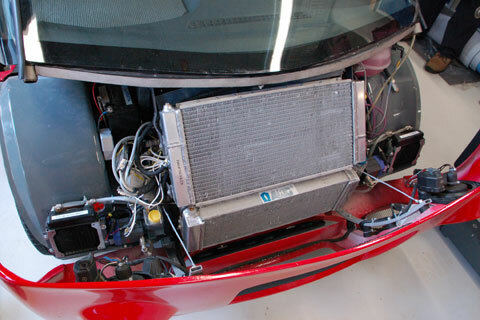 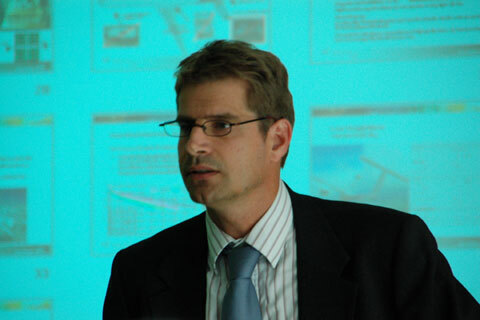 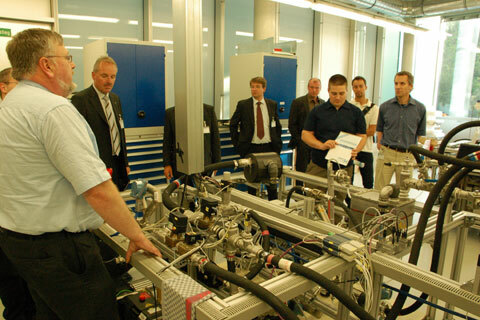 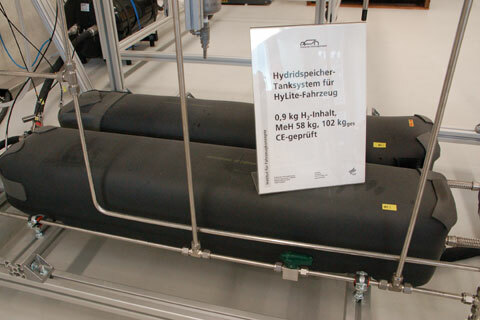 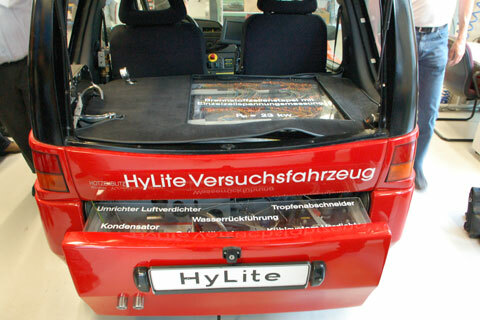 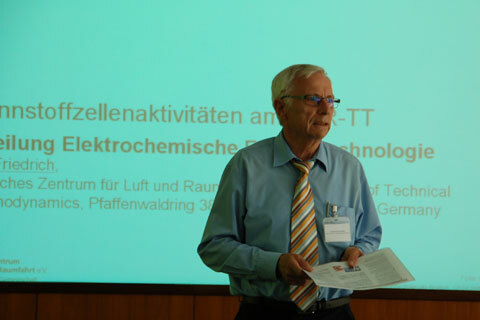 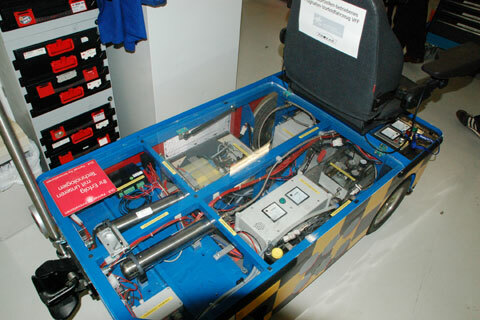 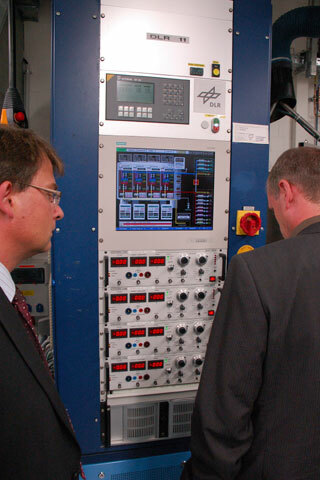 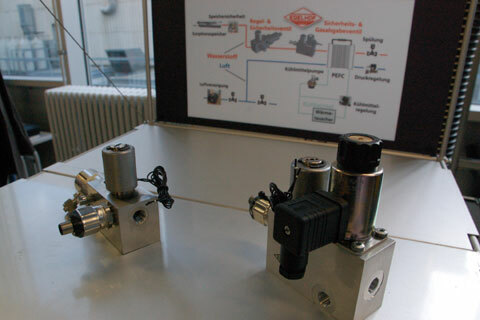 On June 17, 2009 a guided tour of the facilities of the Institute of Technical Thermodynamics and the Institute of Vehicle Concepts at the German Aerospace Center (DLR) has been taken place in Stuttgart by invitation of the Fuel Cell Alliance BW (BZA-BW). 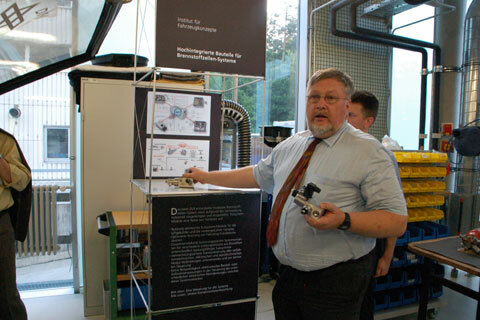 Participants of the event named “Fuel cells application in Aerospace and Transport” were members of the BZA-BW as well as guests from business and politics, from universities and research institutions, public authorities, chambers and associations. 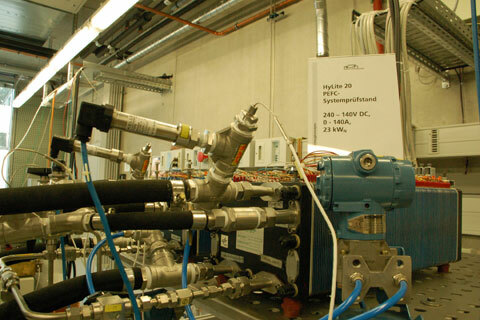 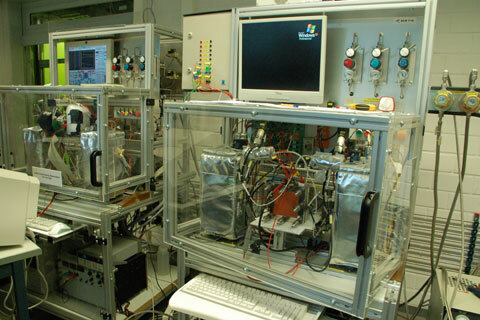 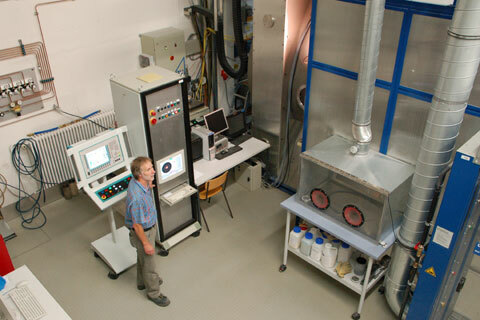 Both DLR-Institutes are worldwide leaders in the development, characterization and testing of fuel cell components. 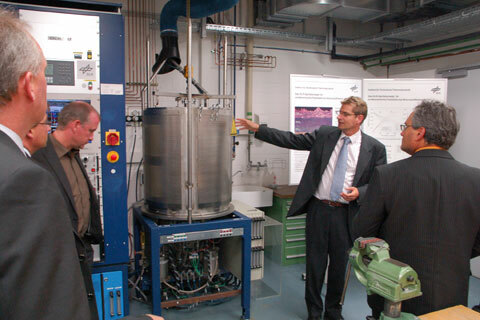 At the Institute for Technical Thermodynamics we saw the state of development of components and procedures for low-and high-temperature fuel cells, such as cell production of SOFC and PEFC and their testing for performance and reliability was demonstrated. 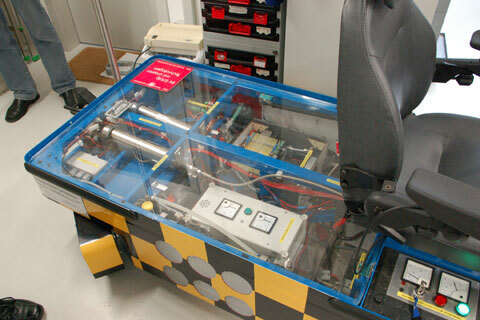 The Institute of Vehicle Concepts illustrated how sub-systems and complete drive systems for test-beds are implemented - and how the findings will be transferred into experimental vehicles. 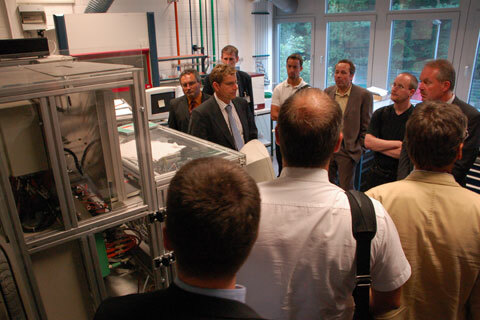 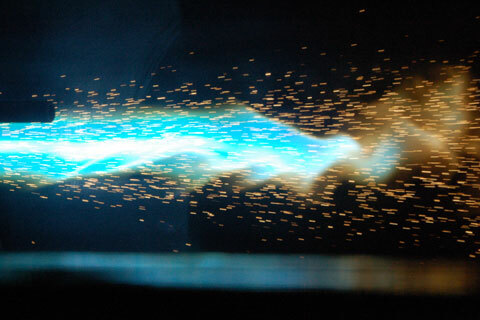 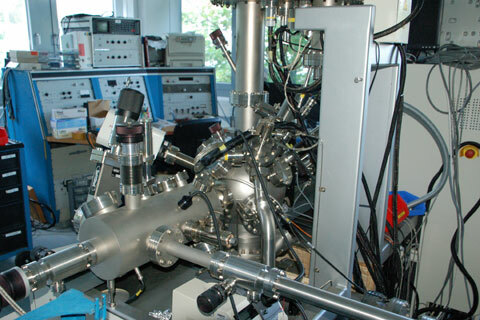 The Institute of Technical Thermodynamics is one of 32 research institutes of the German Aerospace Center (DLR). 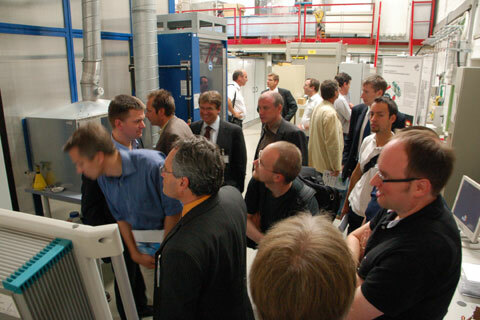 Research efforts of its 160 staff members in Stuttgart, Cologne and Almeria (Spain) are focused on efficient energy conversion with low environmental impact, and on the improvement and acceleration of the use of renewable energy sources. 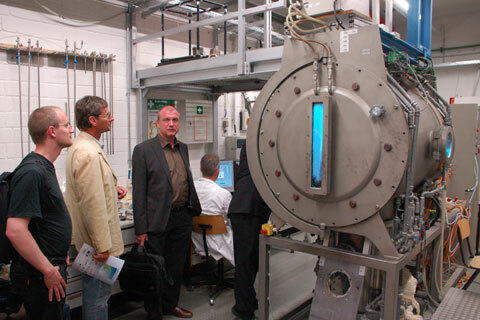 About 50 % of the annual budget of 17 Mio. 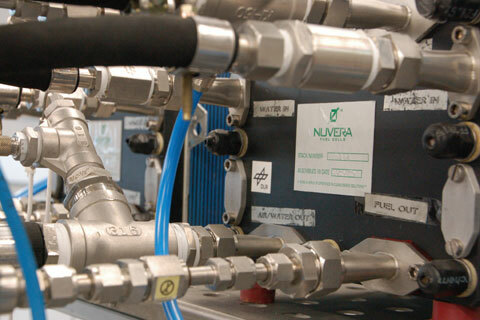 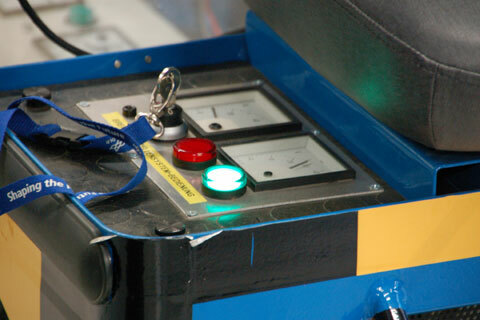 Euro are obtained through competitive external grants and contracts. 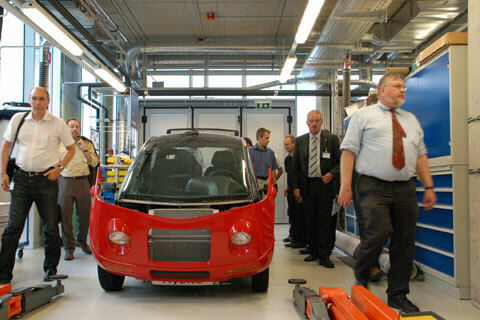 The Institute of Vehicle Concepts is a system-oriented institute, handling and coordinating research subjects related to traffic and transportation at the DLR location in Stuttgart. 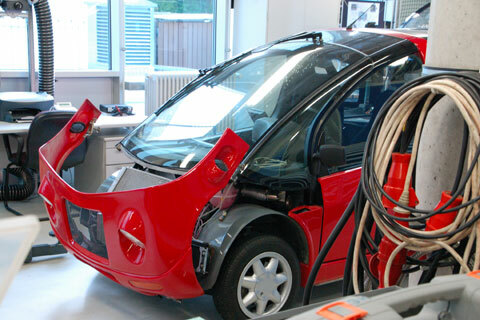 The activities at the Institute of Vehicle Concepts contribute to the sustainable development of technological systems for future generations of road and railway vehicles. 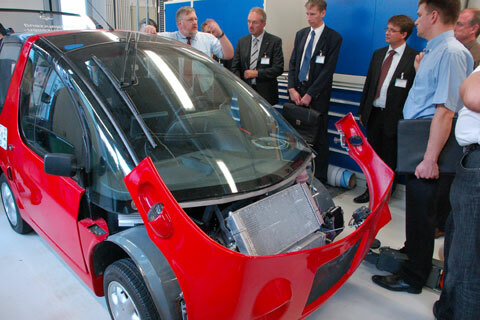 The Institute of Vehicle Concepts contributions range from concepts and feasibility studies to the construction, calculation, and simulation of research demonstrators, components, and vehicles, as well as their presentation. 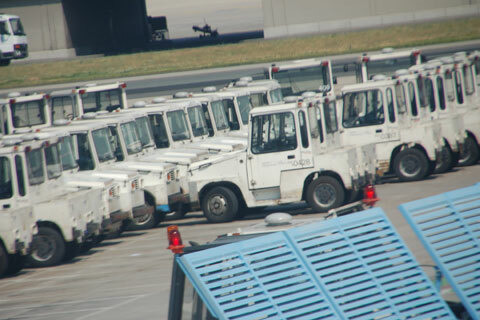 Flughafen-Vorfeldfahrzeuge auf dem internationalen Flughafen in Vancouver (YVR), gesehen von Arno A. Evers am 12. 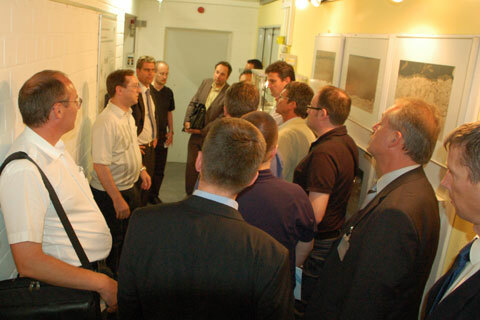 Juni 2009. 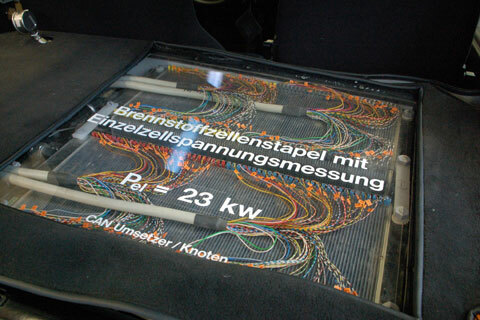 Ein zukünftiger Markt für Brennstoffzellen-Fahrzeuge!